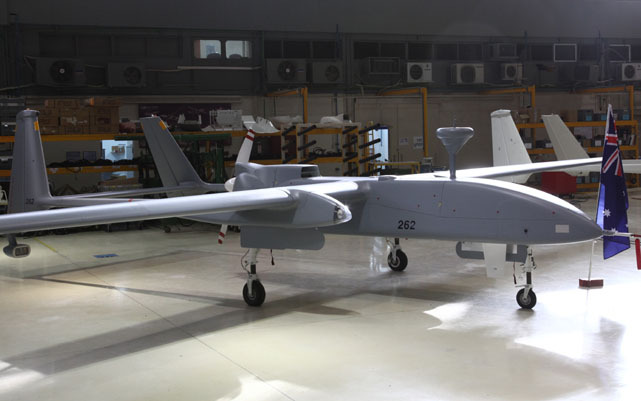 The first Israeli Aerospace Industries Heron Medium Altitude Long Endurance (MALE) UAV is scheduled to be delivered to the RAAF on December 10 under Project Nankeen. 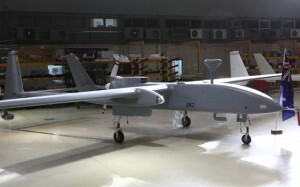 The aircraft will wear the A45-262 designation, and will be the first of an unspecified number of Herons operated on a lease arrangement from Canadian firm MacDonald, Dettwiler and Associates alongside Canadian Herons in support of Australian and coalition security and reconstruction forces in Afghanistan. The RAAF has had a detachment of personnel embedded with the Canadian military operating the Heron since July, and will commence operations with its own aircraft in early 2010.